Australians are buzzing about the benefits of honey. Organic honey is proving especially popular, even though it is more expensive, due to its perceived healthiness and eco-friendliness. Honey is not only being added to sweet dishes, such as pancakes or ice cream, where it has always been popular, but is also finding its way into savoury dishes. 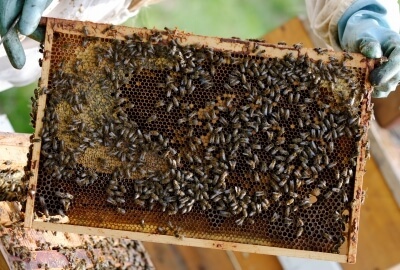 Restaurants and cafes are adding hives to their roofs and increasing numbers of home owners are turning into amateur bee keepers. Australian honey is popular both domestically and internationally as it has its own unique flavours. The taste of honey is influenced by the area in which it is produced. For example, honey from the south side of Melbourne has a much lighter flavour than honey from its north side. Part of the buzz about honey is to do with the fact that it’s produced by honey bees. These are a vital source of pollination for many varieties of fruit and vegetables. Australia has a thriving agricultural industry, which is one of the key employers of young people on working holiday visas as well as skilled workers. Getting a visa for Australia can be easier than many people think and it helps to enlist the skills of a professional NAATI translator to ensure that the process runs sweetly.